LUDOVIC DEBEURME is a French graphic novelist and illustrator who was born in 1971. 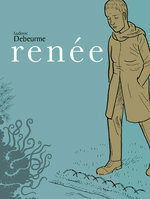 After studying fine art at the Sorbonne, he was first published in the anthology Comix 2000, followed by the acclaimed graphic novels Céfalus (2002) and Mes ailes d’homme (2003), the autobiographical story collection Ludologie (2003), and youth-oriented illustrated editions of the classics Dr. Jekyll and Mr. Hyde (2001), The Chancellor (2004), and Gargantua (2004). 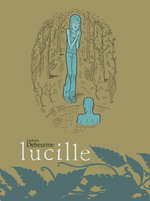 His breakthrough came in 2006 with the release of Lucille, which won the René Goscinny Prize and was named one of the 5 “Essential” graphic novels of the Angoulême International Comics Festival. He followed that success with Le grand autre (2007), Le lac aux Vélies (2009), Terra maxima (2010), Renée (2011), and Trois fils (2013). He continues to write, draw, and play guitar in Paris.